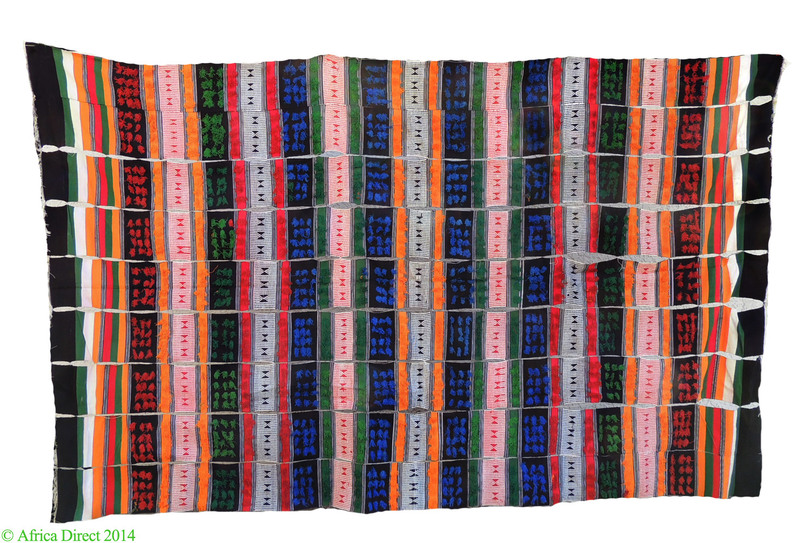 Dimensions 70 inches Height x 112 inches Width. Damage/Repair Some loose steams, needs restitching on some seams. Pink bleading on white lines. Additional Information: A Djerma Huge handwoven tent hanging-This is an extremely rare African textile stripwoven out of cotton. 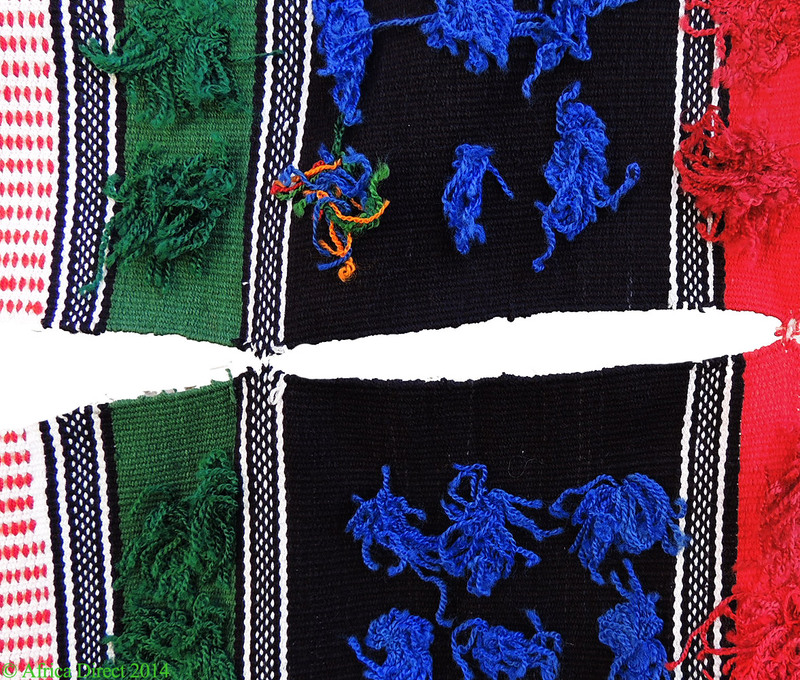 Some strips have cotton threads on them, others have geometric motifs. 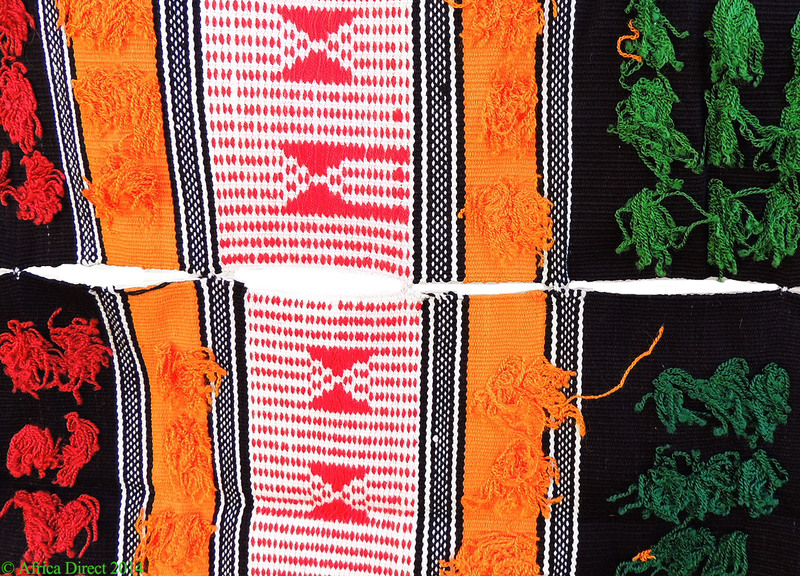 Strips are sewn together so that the motifs joint up to form lateral bands of pattern alternating the embroidered geometric motifs and the cotton tread designs. The cotton thread used for this cloth is millspun and dyed in various colors. Among the Djerma weaving is a man's work. Weaver uses a special loom which consists of a simple frame and round branches and a heddle pulley with long pedal. (Read John Gillow, African textiles, 2003, p. 43). The Djerma live in Niger and are neighbors of Songhai with whom they share the same origin and Peul or Fulani peoples. Weaving is one of the most popular occupations for men.